The central nervous system consists of the brain and the spinal cord. From the spinal cord are nerves that go to every organ, gland, tissue, muscle and cell of the body. The nervous system is setup much like a big fuse box, and if there is a “blown fuse” or Subluxation the child could react with constipation, colic, bed wetting, ear infections, torticollis, fussiness, trouble sleeping, reflux and so on. 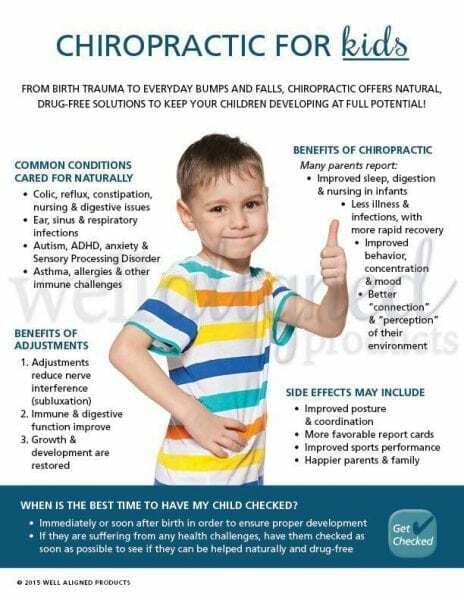 Pediatric chiropractors can help with many childhood conditions, but our focus is not on treating disease or disorders. Quite the opposite, our focus is on allowing the nervous system to function without interference (Subluxation) or to remove the “blown fuse. 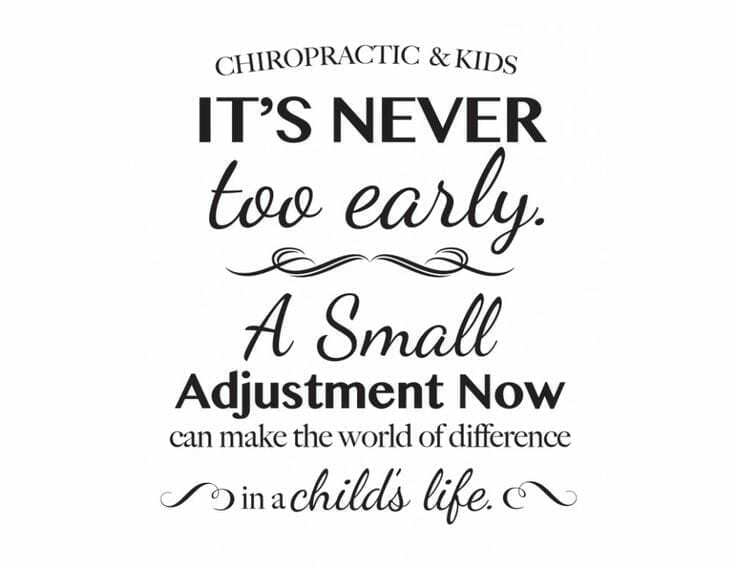 In general, chiropractic care for children is painless, except in cases where the child has an actual injury. In these areas, the child may be sensitive to touch; however, once the adjustment has been made and the area can heal more effectively, the sensitivity is alleviated. Overall, most parents report that their children enjoy their spinal adjustments, and that they look forward to their next visit.